The BFI today announces that Gaylene Gould has been appointed BFI Southbank’s Head of Cinemas and Events. In this newly created role, Gaylene will lead the programme at BFI Southbank, the UK’s national cinematheque and one of the most vibrant and important arts venues in London. Reporting into BFI Head of Programme and Acquisitions Stuart Brown, Gaylene will drive audience development, business planning and an eclectic, unique public programme of agenda setting film and television screenings and events at BFI Southbank. This includes contemporary and classic film, BFI blockbuster projects and seasons, one-off events, on stage interviews, premieres, previews, regular monthly strands aimed at a wide range of audiences and educational programmes. Gaylene starts her new role on 24th April. 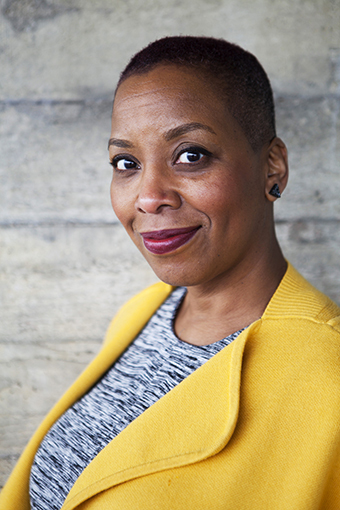 Gaylene comes with a wealth of over 20 years of cross art form programming experience and has consulted on projects most recently for The Tate, The National Theatre, The Independent Cinema Office, Barbican, RSC and the BFI’s Black Star blockbuster project in Autumn 2016. Her previous roles have included Creative Director of Film Club, Head of Programme at The Bernie Grant Arts Centre, National Project Manager for BFI season Black World (2006), Project Director at Arts Council England and programming and events roles at Toronto International Film Festival (TIFF), Hot Docs and Africa at the Pictures Film Festival.